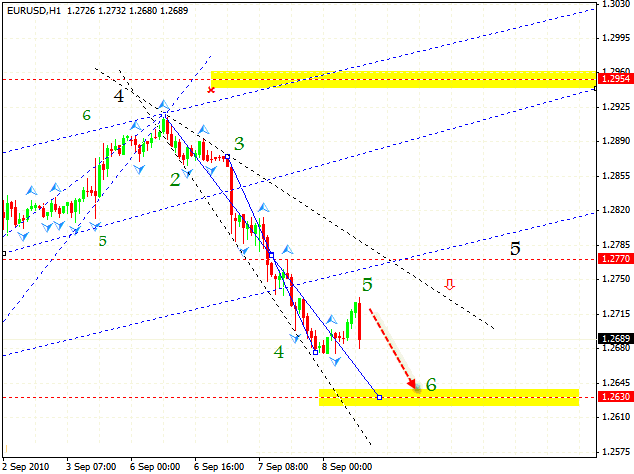 The descending channel has not been broken, thus online forex market has not defined an area for purchases. Currently we can correct the expansion pattern with the target in the area of 1.2630. One can try the tight stop sales. At the top we can see “head & shoulders” reversal pattern forming. We can either start selling right now with the stop behind the local maximum, or wait until the neckline is broken and start conservative sales of the pair. The target in this case is the area of 0.8979. Pound is testing the resistance level and the line of the rising trend again. We can try sales with the stop above 1.5495. 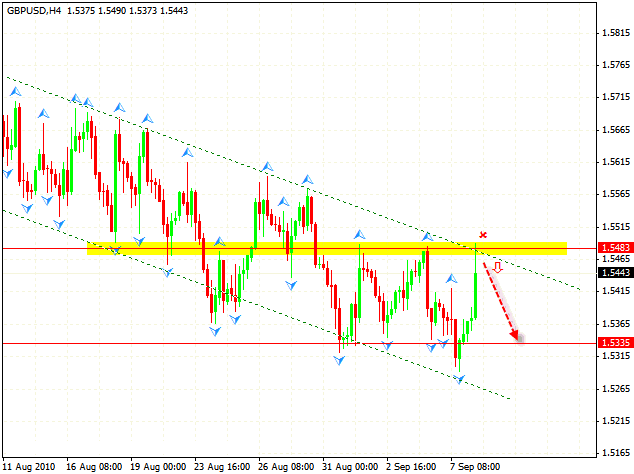 One should expect the fall to the support level in the area of 1.5335. There you can capture the sales profit. 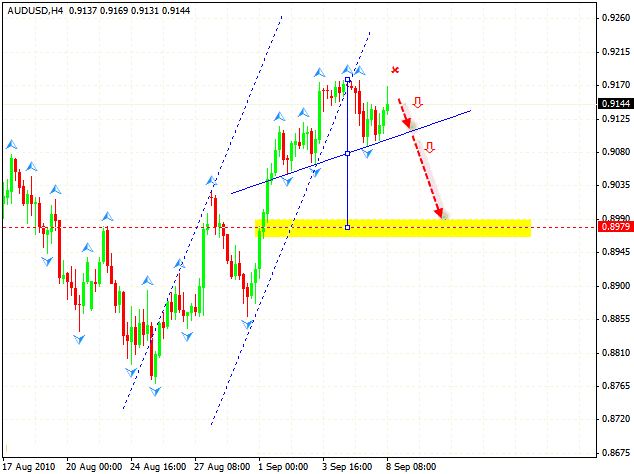 New Zealand Dollar, like Australian Dollar, is preparing to the possible turnback. Here we have “head & shoulders” reversal pattern formed with the target in the area of 0.7106. 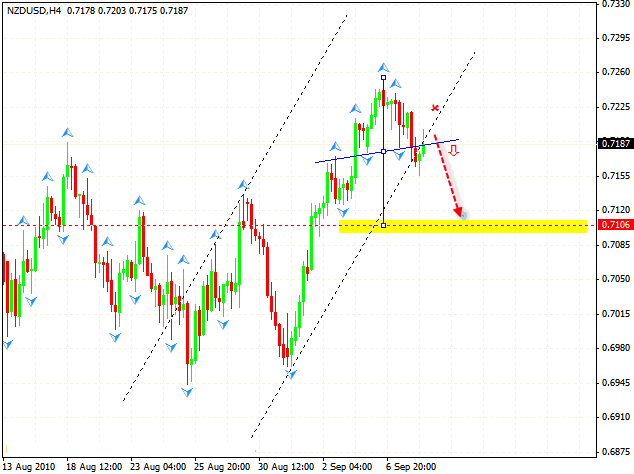 We can try to sell the pair with the stop above 0.7210.